The Best Restaurant Review Blogs from thousands of Restaurant Review blogs in our index using search and social metrics. We’ve carefully selected these websites because they are actively working to educate, inspire, and empower their readers with frequent updates and high-quality information. Facebook fans 48,450. Twitter followers 62,872. CT, USA About Blog On Roadfood, you will find food reviews for virtually every state across the U.S. But instead of generic restaurant reviews, you can get updates about individual dishes and view ratings for each. Whether you’re looking for something specific to eat in your neck of woods, or you’re planning your travels and looking for a great dish to devour at your destination, you’ll enjoy scanning Roadfood for ideas. Facebook fans 14,007. Twitter followers 2,578. New York, NY About Blog Grub Street is a food blog by New York Magazine with restaurant reviews, chef interviews, restaurant-openings news, and food-trend coverage. Facebook fans 297,094. Twitter followers 383,911. London About Blog A blog about the best restaurants, bars & hotels and the people who run them. Subscribe to keep up with Regular Reviews of London’s latest openings, interviews with the chefs and restaurateurs who have created them. Facebook fans 716. Twitter followers 7,615. Amsterdam About Blog Here you’ll find reviews, featured food posts, foode travel guides and more. You can also search for restaurant recommendations by price, location and type of cuisine. Find out about the best (and worst!) food and places to eat here. Facebook fans 4,718. Twitter followers 3,652. Houston, Texas About Blog Find the best restaurants and bars in Houston, with restaurant listings by cuisine and neighborhood, along with daily food news and recent openings. Every month, we deliver Houston in all its complicated glory: exclusive interviews, news, reviews and hard-hitting stories. Facebook fans 56,806. Twitter followers 34,653. Louisville About Blog LouisvilleHotBytes is the city’s top spot for comprehensive, accurate and unbiased reviews of Louisville restaurants, food and drink, and its most vibrant interactive community of food-and-dining enthusiasts, consumers and food-industry professionals. About Blog Welcome to KevinEats Blog. Follow to keep up with the latest posts on Restaurant reviews. Facebook fans 1,384. Twitter followers 2,193. Facebook fans 1,846. Twitter followers 1,334. About - Samphire and Salsify is the outlet for my love of restaurants. There’ll be regular reviews of London’s latest openings, along with some much loved forgotten gems, interviews with the chefs and restaurateurs who have created them, and plenty more to whet your appetite. About - The Graphic Foodie is a Brighton food blog where you’ll find frequently updated Brighton and Hove restaurant reviews, guides and local food events. Although the focus is on our fantastic local independent restaurants, you can also discover selected cafes, supper clubs and pop-up restaurants. About - Hello people, let me introduce myself. I am a local Derbyshire bird, who along with her family and friends likes to spread her wings and get her beak sticky sampling food, wine and beer in local restaurants and venues. Hopefully having good times and discovering hidden treasures in our glorious neighbourhood along the way. About - My name is Elsa and I am a Manchester food blogger! I give reviews of restaurants, things you can get at the shops, recipes and interviews with local traders! I like travelling and love desserts, especially cakes! 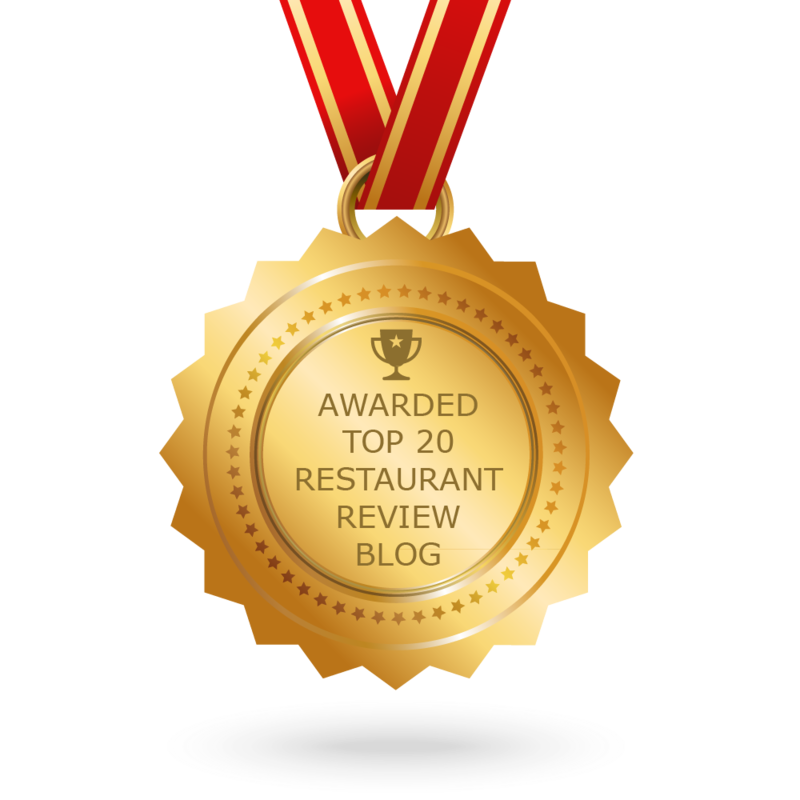 CONGRATULATIONS to every blogger that has made this Top Restaurant Review Blogs list! This is the most comprehensive list of best Restaurant Review blogs on the internet and I’m honoured to have you as part of this! I personally give you a high-five and want to thank you for your contribution to this world.